"The truest and most human story of the Great White Snows.". 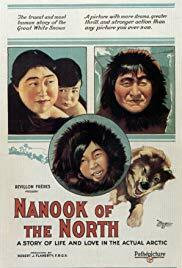 Nanook Of The North is Robert J. Flaherty’s beautiful film about an Inuit man named Nanook and his family. Filmed during one year of their life in the icy desolation of Northern Canada. The film was an enormous success and is the founder of the documentary film genre.